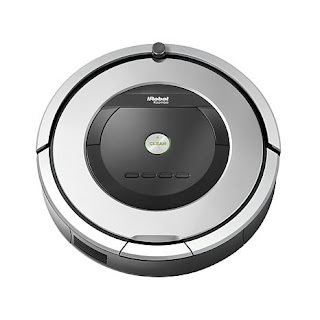 Today (4/17), HSN is offering this iRobot® Roomba® 860 Vacuuming Robot with iAdapt Cleaning Technology for $379.95 (Retail $499.95) or 5 FlexPay of $75.99 with Free Shipping. The last thing you feel like doing when you get home from a long day is dragging a vacuum around the house. With Roomba, you come home to a clean house. Just set the scheduler, set up the Virtual Wall to keep it out of an area you want avoided and press the button. Roomba dutifully works on schedule and uses its intelligent iAdapt cleaning navigation to thoroughly clean your room, then automatically docks and recharges. Isn't it time for smarter cleaning ... with Roomba?